Interested in receiving best-in-class HVAC support service, extended warranties, and points for products registered to redeem toward incredible prizes? The ABC program is just the thing for you! ABC members appear on our dealer locator with their own contact page and can immediately begin registering products on our website for points and extended warranty. Based on the total points accumulated during each previous year, you will be classified as Silver, Gold or Platinum contractor, receiving additional benefits for each level. Interested in becoming a member? Request an application from your wholesaler or contact us here for more information and start reaping the benefits of being an ABC! 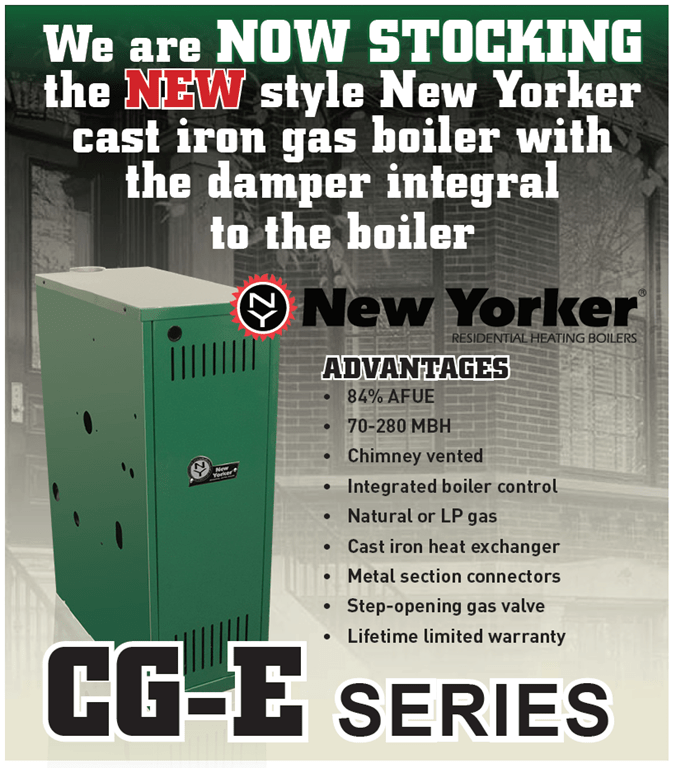 We are NOW STOCKING the NEW style New Yorker cast iron gas boiler with the damper integral to the boiler.